Daggubati Venkatesh is a well-known face in South Indian film industry. 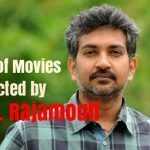 The brilliant actor is famous for his action-drama South Indian movies, which have made him earn huge fame over the years. His movies have been dubbed in different languages. Here is the list of Hindi dubbed movies of Venkatesh Daggubati. Bobbili Raja (1990) is a Telugu action romance blockbuster film directed by B. Gopal. Starring Venkatesh, Divya Bharti in the lead roles. The film was declared as a blockbuster at the box-office and was dubbed into Hindi as ‘Rampur Ka Raja’. Plot: A man tames an aggressive daughter and her mother. The mother accuses him of killing his father. He hides from the cops in a forest. The mother finds him and has him beaten, but he gets his revenge. Devi Putrudu (2001) is a Telugu fantasy-drama film written and directed by Kodi Ramakrishna. Starring Venkatesh, Soundarya, and Anjala Zaveri in lead roles. The film recorded as a flop at the box-office and dubbed in Hindi as ‘Aaj Ka Deviputra’. Plot: An archaeologist extracts a box containing mystical powers from the sea, the goddess within instructs him to keep it back as it’s meant to save the world from disasters. Super Police (1994) is a Telugu action film directed by K. Murali Mohan Rao. The film stars Venkatesh, Nagma, Soundarya in lead roles. The movie was an utter flop and dubbed into Hindi as ‘Khel Khaladi Ka’. Plot: A cop wants to eradicate all the criminals and make the country a better place to live. Although he faces many obstacles in his path of righteousness, he does not give up. ‘Coolie No.1’ (1991) is a Telugu movie directed by K. Raghavendra Rao. Starring Venkatesh, Tabu in lead roles. The film was a hit at the box-office and dubbed into Hindi with the same title ‘Coolie No. 1’. Plot: When a girl from a wealthy family falls in love with a coolie, the couple tries to prove that their love is stronger than the difference between their social status. Masala (2013) is a Telugu comedy drama film directed by K. Vijaya Bhaskar. Starring Venkatesh, Ram, Anjali, Shazahn Padamsee in lead roles. It was a flop film and dubbed into Hindi as ‘Ek Aur Bol Bachchan’. Plot: After losing his job and his ancestral property, Rahman and his sister move to a small town. Circumstances force him to perpetually lie about his true identity. Kshana Kshanam (1991) is a Telugu neo-noir road movie written and directed by Ram Gopal Varma. The film starred Venkatesh, Sridevi and Paresh Rawal in the lead roles. It was an average film and dubbed in Hindi with the title ‘Hairaan’. Plot: Sudha goes missing on a trip with her fiance Anand. On gaining consciousness, she witnesses a murder by a psychopath who also molests her. Will the culprit be arrested with the clue Sudha provides? Namo Venkatesa (2010) is a Telugu language comedy-romance film directed by Srinu Vytla. Venkatesh and Trisha Krishnan play the lead roles. The film was hit and dubbed in Hindi as ‘Rakhwala Pyar Ka’. Plot: Ramana, a ventriloquist, falls in love with Pooja, the daughter of a rich factionist, while on tour in Europe. When she is forced to marry against her wish, Ramana and her uncle decide to rescue her. Nagavalli (2010) is a Telugu horror comedy film directed by P. Vasu. 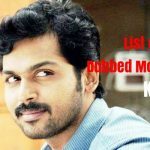 Starring Venkatesh, Anushka Shetty, Richa Gangopadhyay, Shraddha Das, Poonam Kaur and Kamalinee Mukherjee in lead roles. The movie was a flop and dubbed in Hindi as ‘Mera Badla – Revenge’. Plot: Shankar Rao, a businessman, and his family start witnessing strange events in their house. He calls Dr. Vijay, a psychiatrist, to help him. Can Vijay save Rao and his family? Sundarakanda (1992) is a Telugu romance film directed by K. Raghavendra Rao. The film stars Venkatesh, Meena, and Aparna in the lead roles. It was a superhit film and dubbed in Hindi as ‘Real Angaar’. Plot: A newly appointed professor finds that his student has a crush on him and wants to marry him. He ignores her advances and marries an orphan. Not the one to give up, she continues to pursue him. Shadow (2013) is a Telugu action film directed by Meher Ramesh. The film stars Venkatesh, Tapsee, Srikanth, and Madhurima in the lead roles. It was an utter flop film and dubbed in Hindi with the same name ‘Shadow’. Plot: Journalist Raghuram is killed by crime lord Nana Bhai when he exposes the latter’s illegal activities. When his son Rajaram grows up, he dons the garb of Shadow in order to avenge his father. Babu Bangaram (2016) is a Telugu action romantic comedy film, written and directed by Maruthi. Starring Venkatesh, Nayanthara in the lead roles. The film was a hit and dubbed into Hindi as ‘Revolver Raja’. Plot: Krishna, a police officer, helps Sailaja, a woman whose father, Sastry, is on the run and wanted in a murder case, and falls for her. However, his main motive is to use her in order to nab Sastry. Lakshmi (2006) is a Telugu family movie directed by V.V. Vinayak. Starring Venkatesh, Nayantara, Charmme Kaur in the lead roles. The film was super hit a the box-office and dubbed into Hindi as ‘Meri Taaqat’. Plot: Lakshmi is a caring brother. Things take a turn when his ex-employee, who later becomes a competitor, poisons his brothers against him. Tulasi (2007) is a Telugu action film directed by Boyapati Srinu. Starring Venkatesh, Nayantara in lead roles. It was a super hit film and dubbed into Hindi as ‘The Real Man Hero’. Plot: Tulasi gives up violence when his wife disapproves it for the sake of their baby. But an unexpected incident forces him to take up violence as a result of which his wife and baby leave him. Jayam Manade Raa (2000) is a Tollywood action drama directed by N. Shankar. Starring Venkatesh, Soundarya, Bhanupriya in the lead roles. The film was successful at the box-office and dubbed in Hindi as ‘Dum Man Of Power’. Plot: Abhiram comes to India in order to marry his lover Uma. However, on reaching India, he is attacked by some unknown people. Later, a lady named Jhansi reveals Abhiram’s shocking past. Ganesh (1998) is an action, drama and thriller film directed by Thirupathisamy. Starring Venkatesh, Rambha, Madhu Bala. It was a hit movie and dubbed in Hindi as ‘Jala Ke Raakh Kar Doonga’. Plot: Ganesh, a journalist, loses his father and sister due to the negligence of the health department and decides to fight against the corruption prevalent in the medical industry. Vasu (2002) is a Telugu romance film directed by A. Karunakaran. Starring Venkatesh, Bhoomika Chawla played lead roles. The movie was a hit and dubbed in Hindi as ‘Cheetah – The Leopard’. Plot: Vasu dreams of becoming a musician and a singer. He teaches music for seven years. But his father, an IPS officer, has different plans for his future. Subash Chandra Bose (2005) is a Telugu historical drama film directed by director K. Raghavendra Rao. Starring Venkatesh, Shriya Saran, Genelia D’Souza in lead roles. The film was a flop and dubbed in Hindi as ‘Mission Vande Mataram’. Plot: Amarchandra finds out about the Governor’s plans and decides to blow up the train transporting the British army. Little does he know that he will soon be betrayed by one of his own men. Muddula Priyudu (1994) is a Telugu drama film directed by K.Raghavendra Rao. Starring Venkatesh, Ramya Krishna, Rambha in the lead roles. It was a flop film and dubbed in Hindi as ‘Sajna Doli Leke Aana’. Plot: Subbaiah takes advantage of farmers and manipulates them; Ramu exposes him. Subbaiah, in retaliation throws Ramu in the sea, where he suffers a memory loss, but returns in time to take his revenge. Chintakayala Ravi (2008) is a Telugu romantic comedy directed by Yogi. Starring Venkatesh, Anushka Shetty, Mamta Mohandas in lead roles and Jr. NTR in a cameo appearance. The movie was a hit and dubbed in Hindi as ‘Hitech Khiladi’. Plot: Ravi, a waiter in New York, lies to his mother about his occupation. He tells her that he works as a software engineer. But the truth is revealed and his mother and wife-to-be are left disheartened. Kondapalli Raja (1993) is a Tollywood action-drama film directed by Ravi Raja Pinisetty. Starring Venkatesh, Nagma, and Suman played the lead roles. The film performed extremely well at the box-office and was dubbed in Hindi as ‘Ye Hai Gaddar’. Plot: Poor Raja and millionaire Ashok are childhood friends. 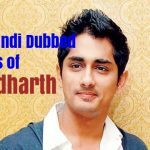 Their friendship is threatened when Ashok’s father interferes. It gets complicated further when Raja’s sister falls in love with Ashok’s brother. 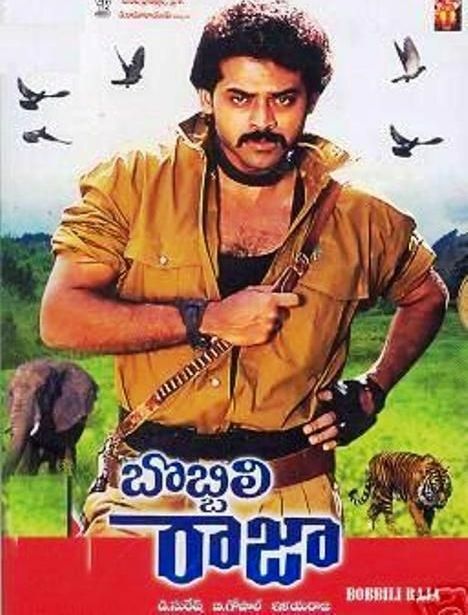 Sahasa Veerudu Sagara Kanya (1996) is a Tollywood fantasy-drama film directed by K. Raghavendra Rao. Starring Venkatesh, Shilpa Shetty, Malashree. The film was a hit and dubbed into Hindi as ‘Sagar Kanya’. Plot: A man sets out to find a treasure which is buried deep in the sea. A witch tells him that a mermaid will be able to help him get the treasure. Premante Idera (1998) is a Telugu drama movie directed by Jayanth C. Paranjee. Starring Venkatesh, Preity Zinta in lead roles. It was a super hit film and dubbed into Hindi as ‘Dulhan Dilwale Ki’. Plot: A youth goes to attend a wedding. There, he falls in love with a village girl but is dismayed to find that she is already engaged to someone. He tries to change her parent’s mind but to no avail. Seethamma Vakitlo Sirimalle Chettu (2013) is an Indian Telugu-language drama film written and directed by Srikanth Addala. It features Daggubati Venkatesh, Mahesh Babu, Anjali and Samantha Ruth Prabhu in the lead roles, while Prakash Raj, Jayasudha, etc. play supporting roles. Plot: Balu falls in love with his classmate Swapna, the daughter of a rich business tycoon. Trouble brews when Swapna’s parents see a picture of the couple in a newspaper and stop her from studying further. Gemini (2002) is a crime-thriller Telugu film directed by Saran. Starring Venkatesh and Namitha in the lead roles. The film performed average at the box-office and dubbed in Hindi ‘Aaj Ka Shoorveer’. Plot: Gemini, a rowdy, falls for a North Indian girl. Not knowing the truth, she too loves him. Soon, he is arrested. But, it is a reformed Gemini who returns and struggles to convince her of his new self. Dhruva Nakshatram (1989) is a Tollywood action film directed by Y.Nageswara Rao. Venkatesh and Rajani played the lead roles. The film was a hit at the box-office and dubbed in Hindi as ‘Anari Dada’. Plot: Dhruva Kumar is a juvenile criminal who escapes home and grows up in Mumbai. Years later, fate brings him back home where he has to protect his family from smugglers.